GOODGUIDES HAVE THE MOST EXTENSIVE KNOWLEDGE OF TERRAIN ACROSS HAKUBA, MYOKO AND THE GREATER NIIGATA AND NAGANO REGIONS. WE SPECIALISE IN GUIDED BACKCOUNTRY TOURS AND ACCOMMODATION PACKAGES, DAY TOURS AND AVALANCHE SAFETY. Hakuba has a fantastic variety terrain to suit all conditions and powder enthusiasts. 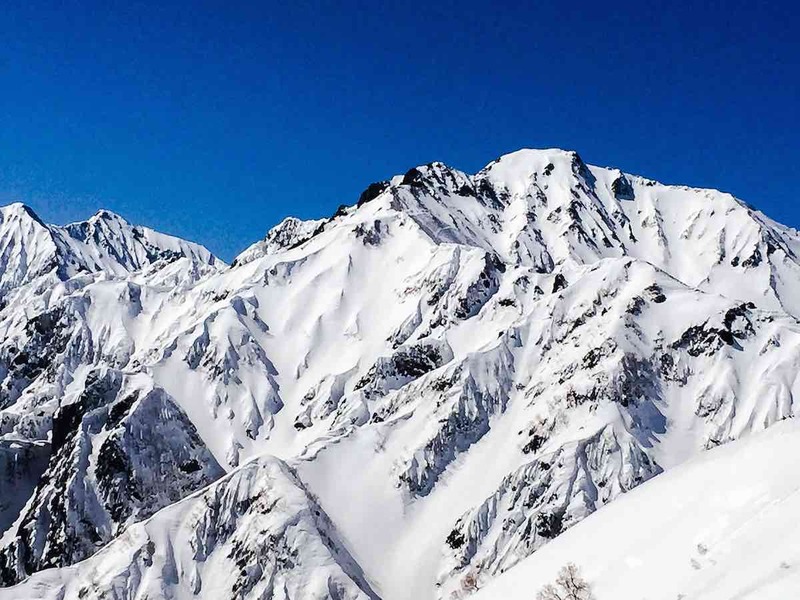 From easy access tree skiing to the biggest and steepest mountains in Japan, Hakuba has it all. Advanced packages include a tail guide and guarantee a Japanese speaking guide. This helps us get away from ski fields and into the remote backcountry areas of countryside Japan. 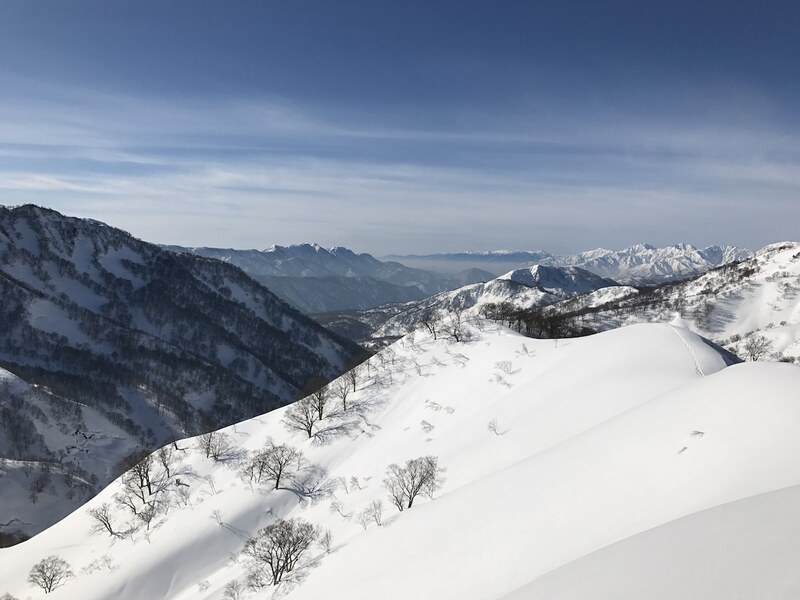 The Hakuba Complete BC Package is an advanced trip and is designed for people who have experience ski touring and want to get off the beaten track and access remote areas away from the ski resorts. Ski touring and ski mountaineering at Japan’s mecca, the Northern Japanese Alps, is a fabulous destination to push your limits and ski the deep and steep back country that is hands down the best big mountain skiing that Japan has to offer. Big mountains and deep snow can of course mean heightened avalanche danger. GoodGuides professional and certified guides will keep you safe and keep you skiing good snow in whatever weather and avalanche conditions the mountains bring. They also have an extensive network in the local community enabling them to access local knowledge and information from the surrounding snow community. These tours are aimed at skiers and riders who are advanced to expert riders with backcountry experience. This Hakbua Complete BC package involves a lot of up-hill hiking/skinning on skis, split board or snow shoes so you will need to have a very good level of fitness. You will have avalanche safety gear supplied as part of the package, however you will also need touring gear which could be skis with touring bindings & skins, split board with skins and/or snow shoes. Backcountry equipment can be rented from GoodGuides at special rates for customers on our tours. Our advanced trips are for people who have experience ski touring and want to get off the beaten track. We will access remote areas away from the ski resorts. Participants will need a high level of fitness and be prepared for long days ski touring! Day 2 to 9: Our professional mountain guides will decide the best place to ski each day. 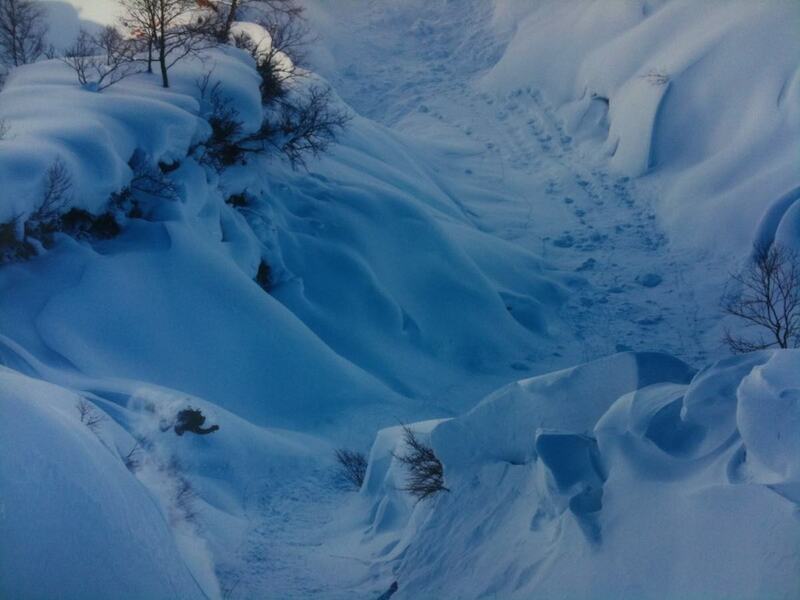 Your first morning will start with an in depth avalanche safety briefing and training. We will choose where to ski by finding the best snow and then skiing terrain within our snow stability rating for the day. Safety is our number one priority. This enables us to ski deep powder in remote locations safely and come back the next day to do it again! Meteor is located in the Echo Land village and is an easy walk to restaurants & bars. The hotel/chalet provides lovely communal spaces and a self-cater kitchen so you can cook your own meals if you prefer. 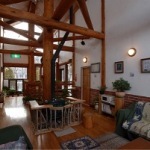 Motoi Lodge is located in beautiful setting in the forested area to the north of the Hakuba valley. All rooms have shared bathroom. They are all twin share but spacious have an at home feel to them. There is a common computer for guest use and wifi is available. 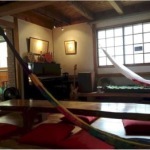 Hammock’s and cusions are set up for you to relax around the fire complimented by a vast range of jazz and down tempo music that you can select as you please. There are also on-site laundry facilities. Lodge Motoi houses both a restaurant and a bar where guests are able to relax at the end of the day with a meal and a drink. A daily breakfast is provided as well as optional dinners included Motoi’s meals are a highlight of every trip.